We’ve reached that point of the year when it’s time to start prepping your trees for Winter and subsequently, Spring. In this week’s post, we address how to properly fertilize your tree and when to give your tree a deep soaking, so that it has all the nutrients it needs to flourish. While well-established trees may not need regular fertilization, newly planted trees, smaller trees and shrubs will pay you big dividends in return for your feeding investment during their first several years on your property. Your payback will include: better resistance to disease and insects, improved flowering and much quicker establishment than similar trees/plants without regular fertilization. The goal of fertilizing trees is to put the nutrients within reach of the feeder roots. This means, feeding an area that reaches from about 1/3 of the distance from the tree trunk to the drip line (on the inside) to a spot about the same distance outside the drip line. Then work out to just beyond the drip line of the tree, which is just beneath the outer tips of the branches. (Remember not to burn the bark.) 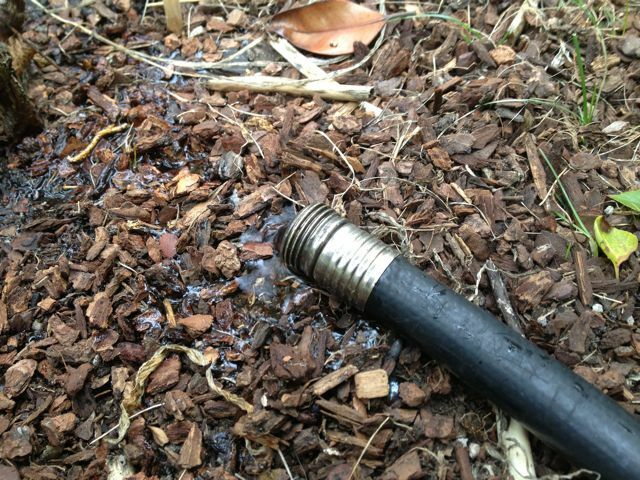 Then, immediately water the area under the tree to dissolve the fertilizer and speed its delivery to the root system. The amount of fertilizer you need to apply is based on the fertilizer type and tree species. We recommend carefully read the package label for the recommended spread rate for your particular tree. Unless a tree is deficient in some other element, increased nitrogen provides the most pronounced effects on the growth of all plant nutrients. Just because an increase in nitrogen produces a more visible increase in growth, however, does not mean that other elements are not required. A soil test provides the best indicator of elements that may need to be added to the soil to prevent nutrient problems and you can contact the county extension service for a free soil test. 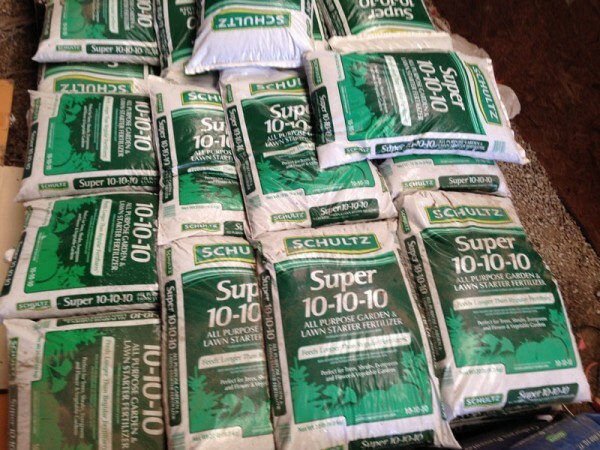 Whatever your need, we have fertilizers that run the gamut of application: Slow-Release, Quick-Release, Granular, Liquid, 10-10-10, ($10 per bag) 12-6-6 ($35 per bag) and more! Liquid Fertilizer is $5 a gallon or $20 for 5 gallons. Even in years when drought is not a concern – winter watering is crucial. Tree roots continue to grow throughout the winter, albeit at a slower rate. However, they still need moisture to survive. Well-timed fall and winter watering will allow your trees to retain any needed moisture throughout the winter. We strongly encourage you to deep soak your trees during the late fall when the temperatures are still above freezing. If you have any questions about Fall tree care, check out our website, or give us a call at 317.225.4732. About the author "Hoosier Home & Garden"
Hoosier Home and Garden is your destination tree farm, nursery and all-in-one garden center in the Greater Indianapolis, Indiana area. Priced right to fit any budget, we offer a 1 year guarantee with our installs. High quality work and no hassle. Call 317.225.4732, or stop by the farm today to see how we can provide a solution to fit your needs.